Hand dyed wool yarn, Merino aran, 100g of superwash merino, merino blend Aran weight yarn, Indie dyed, tweed aran wool, hand dyed merino. Hand dyed yarn. 100g of hand dyed superwash merino aran weight yarn. All The Fish. Red, green, blue, black, yellow. Knitting wool, crochet. Hand dyed variegated wool, superwash merino aran weight yarn. 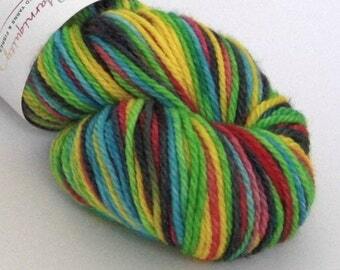 Green Headed Tannager, greens, blues, yellow, black, UK indie dyer, knitting. Hand dyed organic merino aran yarn. 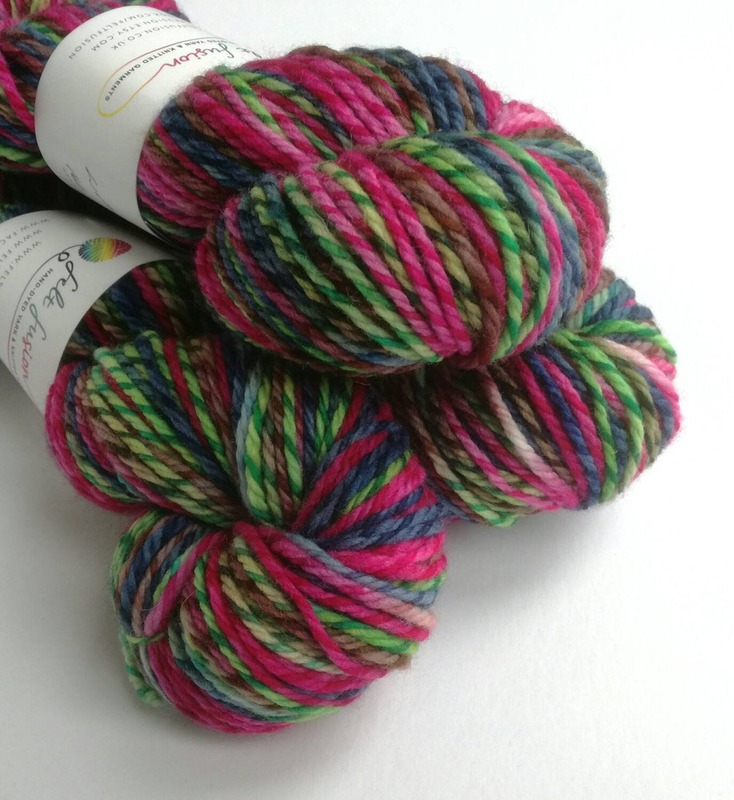 Organic merino aran weight yarn for knitting or crochet. Variegated aran weight wool. Hand dyed silver sparkle superwash merino/nylon/stellina double knit yarn Purrr-fectly Happy - variegated green, greys and blue yarn. This has been hand dyed in 'Berry Barf', a variegated colourway including pink, navy blue, green and brown on my With a Twist aran weight base, which is a mix of 1/3 superwash merino and 2/3 merino fibres. The two fibres take up the dyes differently, creating an interesting effect. 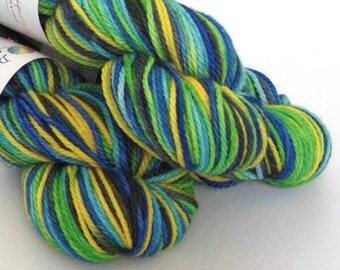 This listing is for 100g, which is approx 166m/181yds. There are 3 skeins available at the time of listing. I would recommend hand washing your finished item with care. All yarns are dyed using acid dyes and are thoroughly rinsed. 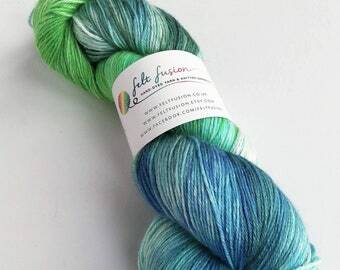 Wonderful yarn to knit or weave with. I did the latter to create a beautiful scarf of many colours! Such amazing colours!! Can’t wait to start knitting this!! Hand dyed double stranded sock yarn blank, superwash merino/nylon sock yarn blank. Black, pink, red, yellow and blue knitting blank.